Automatic Greasing Systems: Contact FLO Components – automatic lubrication systems specialist and leading supplier of lubrication equipment and supplies: automated lubrication systems, central lubrication systems, autogreaser – FLO Components – Automatic Lubrication Systems Specialist in Ontario and Manitoba. First-time Inquiries: click here to contact us. Existing Customers: click here to contact us. 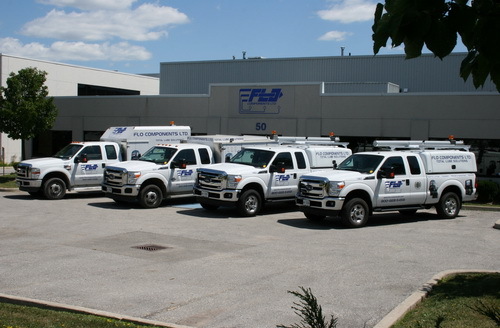 Service Call or Installation Scheduling: click here to e-mail our Service Department. Online Customer Satisfaction Survey: click here. Privacy Concerns: click here to e-mail our Webmaster. FLO Components’ Head Office is located just north of Highway 401 and Hurontario Street – turn east on Admiral Blvd. See map for directions.